Beatty Moody, D. L., Leibel, D. K., Darden, T. M., Ashe, J. J., Waldstein, S. R., Katzel, L. I., … Zonderman, A. B. (2019). Interpersonal-level discrimination indices, sociodemographic factors, and telomere length in African-Americans and Whites. Biological Psychology, 1. This study investigates within-race interactions between multiple indices of interpersonal discrimination and sociodemographic characteristics in relation to telomere length in African American and White adults. Pantesco, E. J., Leibel, D. K., Ashe, J. J., Waldstein, S. R., Katzel, L. I., Liu, H. B., ... & Moody, D. L. B. (2018). Multiple Forms of Discrimination, Social Status, and Telomere Length: Interactions within Race. Psychoneuroendocrinology. This study explored interactive relations of lifetime discrimination burden and racial discrimination-chronic stressors among African Americans (AAs)-and age with MRI-assessed white matter lesion volume (WMLV), a prognostic indicator of poor clinical brain health outcomes..
Beatty Moody, D.L., Taylor, A.D., Leibel, D.K., Al-Najjar, E., Katzel, L.I., Daratzikos, C., ... & Waldstein, S.R. (2018). Lifetime Discrimination Burden, Racial Discrimination, and Subclinical, Cerebrovascular Disease Among African Americans. Health Psychology. This study investigated whether everyday discrimination predicted incident metabolic syndrome (MetS) in a diverse sample. Beatty Moody, D.L., Chang, Y., Brown, C., Bromberger, J.T., & Matthews, K.A. (2018). Everyday Discrimination and Metabolic Syndrome Incidence in a Racially/Ethnically Diverse Sample: Study of Women's Health Across the Nation. Psychosomatic Medicine, 80 (1), 114-121. This study determined blood pressure thresholds for ambulatory hypertension in a US population-based sample of African American adults. Ravenell, J., Shimbo, D., Booth, J.N., Sarpong, D.F., Agyemang, C., Beatty Moody, D.L., ... & Ogedegbe, G. (2017). Thresholds for Ambulatory Blood Pressure Among African Americans in the Jackson Heart Study. Circulation, 135(25), 2470-2480. The purpose of this research was to determine whether the relationships of lifetime discrimination to ambulatory blood pressure (ABP) varied as a function of age in a sample of Black and Latino adults. Beatty Moody, D. L., Waldstein, S. R., Tobin, J.N., Cassells, A., Schwartz, J.C., & Brondolo, E. (2016). Lifetime racial/ethnic discrimination and ambulatory blood pressure:The moderating effect of age. Health Psychology, 35(4), p.333-342. Examined interactive relations of race and poverty status with cardiovascular disease (CVD) risk factors in a socioeconomically diverse sample of urban-dwelling African American (AA) and White adults. The goals of this study were to determine whether C-reactive protein (CRP), a marker of inflammation and risk factor for future cardiovascular disease was independently predicted by everyday discrimination or whether race or body mass index modified this association. Beatty Moody D.L., Brown C., Bromberger J.T., & Matthews K.A. (2014). Everyday discrimination is associated with higher levels of C-Reactive Protein across a 7-year period: Study of Women’s Health Across the Nation. 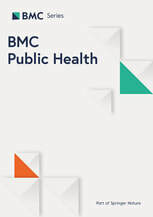 Journal of Social Issues, Special Issue: Ethnic-Racial Stigma and Physical Health Disparities in the United States of America: From Psychological Theory and Evidence to Public Policy Solutions 70(2), 298-314. Unfair Treatment is Associated with Poor Sleep in African American and Caucasian Adults: Pittsburgh SleepSCORE Project. The purpose of this study was to test the association between self-reported unfair treatment and objective and self-reported sleep characteristics in African American and Caucasian adults. ​The purpose of this study was to determine whether lower childhood socioeconomic status (SES) was associated with fewer psychosocial resources independent of adult SES, and whether these associations differed by race/ethnicity. Beatty, D. L., Kamarck, T. W., Matthews, K. A., & Shiffman, S. (2011). Childhood socioeconomic status is associated with psychosocial resources in African Americans: The Pittsburgh Healthy Heart Project. Health Psychology, 30(4), 472-480. The purpose of this study was to determine if ambulatory blood pressure (ABP) at night relative to day among adolescents is influenced by unfair treatment and trait anger, and whether these associations are stronger in African Americans and adolescents from lower socioeconomic status (SES) families and neighborhoods. ​This study investigated dimensions of socioeconomic status (SES) and self-reported racism among Black and Latino(a) urban-dwelling adults. The aim of this paper is to identify and discuss key issues in the study of individual-level strategies for coping with interpersonal racism. ​​The goal of the present article was to investigate the relationship of perceived racism to ambulatory blood pressure (ABP) in a sample of American-born Blacks and Latinos.